The gate of Antalya that leads to the world, ANFAŞ has set on the road with its two new exhibitions which are Jewelry Expo and Well Life. 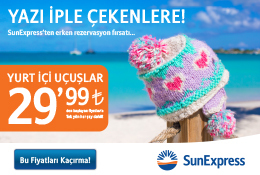 Mentioning that HotelEquipment, which is an event that keeps its finger on the pulse of the tourism and food industry and FoodProduct gained power as they merge under the same roof, Murat Özer, General Manager of ANFAŞ stated that innovations will increase collaboration in the international arena. ANFAŞ - Antalya Fuarcılık Enterprise and Investment Inc. has set on the road for larger goals with its renewed structure. Renewed with international goals that will develop the economy of Turkey and Antalya, ANFAŞ is undersigning two new exhibitions in addition to HotelEquipment - International Hospitality Industry Equipments Exhibition and FoodProduct - International Trade Exhibition for Food and Beverage, which are exhibitions that are in the brand position for the tourism and food industry. Raising the number of fairs within its organization to 4 with its new projects, ANFAŞ will also house 2 new exhibitions. Providing information about the new road map, Murat Özer, General Manager of ANFAŞ said that ANFAŞ, the most important brand of Antalya will keep the city's economy dynamic for 4 seasons and will contribute to the growth of Turkey. "Our priority is to increase international trade collaborations via our exhibitions and undertake a locomotive role in the economy of Turkey and Antalya. The new exhibitions which we will realize using the right instruments in the most effective way will prompt the export figures of both the region and the country during the periods when they take place" said Özer, mentioning that ANFAŞ will serve as a leverage in the economy of Turkey, which aims to rank among the top 10 in the world by 2023. 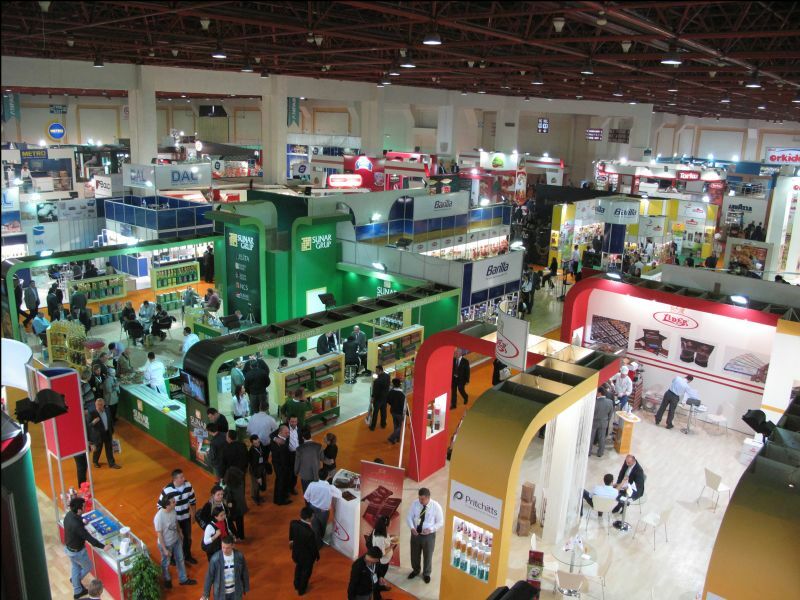 Mentioning that they've had the opportunity to bring together the 29th HotelEquipment and 25th FoodProduct, where the visitor and exhibitor profiles are parallel under the same roof as the exhibition area was enlarged, Özer said that organizing the exhibitions under a single roof is one of the major novelties in ANFAŞ. "We have received suggestions from domestic and overseas hosted buyers to organize our both exhibitions simultaneously as the visitor and exhibitor profiles are parallel. We have listened to the voice of the industry pursuant to the amenities offered by our enlarged fairground. We have decided to realize the two grand meetings of the tourism industry under a single roof as a result of the works we conducted" he said. Mentioning that the renewed structure of Antalya Expo Center, which is the exhibition facility of ANFAŞ plays an effective role in the organization of the exhibitions under a single roof, Murat Özer said the growing new area opens the way for new goals. "Our 20,000 square meters exhibition area has grown a hundred percent following the renewal works and reached a total of 60,000 square meters, of which 40,000 square meters is indoor and 20,000 square meters is outdoor. The growing area of the exhibition center allowed HotelEquipment and FoodProduct, each covering an average area of 20,000 square meters to take place under a single roof" he said. Antalya Expo Center houses grand organizations with 15 renewed meeting halls that are suitable for any capacity between 10 and 1,000 persons in addition to its enlarging exhibition area. Offering all the amenities for conventions, conferences, seminars, shows, fashion shows, product launches, meetings and special days, Antalya Expo Center will bring all the stakeholders regarding the industry together under a single roof via the conventions that will take place simultaneously with the exhibitions. The first of the exhibitions that are among the new projects will cover the jewelry industry that shines with its unique designs not only in Antalya city center but also in touristic districts. Set to bring the producers, exporters, wholesalers, designers, suppliers and representatives in the jewelry industry together with professional visitors, ANFAŞ Jewelry Expo - Gold, Jewelry, Silver, Watch and Technologies Exhibition will take place on April 19 - 22, 2018. ANFAŞ Well Life 2018 - Outdoor & Indoor Activities, Wellness and Healthy Living Exhibition will open its gates on May 10 - 13, 2018 following Jewelry Expo. Visitors will meet in Antalya Expo Center with versatile exhibitor profile with regard to sports equipment and hardware, sportsmen health, cosmetic products, sports wear and accessories, nutrition and food supplements, outdoor and natural sports as well as sports centers during the exhibition, which has been designed in line with the texture of Antalya, a city that offers the chance to do any natural sports over 4 seasons. Housing new exhibitions in addition to those within its organization, ANFAŞ will organize Home&Wedding - Home and Marriage Preparations Exhibition in Antalya Expo Center. Housing all the instruments with regard to home textile, furniture, household appliances, wedding, organization and marriage industries in addition to wedding gown and groom's suit designs, the exhibition will open its gates on February 21 - 25, 2018. Among the new projects, Auto Show - Automobile, Commercial Vehicles and Motorcycles Exhibition will take place on November 1 - 5, 2017 within the organization of ANFAŞ. Automotive, motorcycles, tuning and interior hardware service equipment and materials as well as circuit breaker materials will be displayed in the exhibition.